Brad Kulacz, Regional Vice President, Retail Banking, Merrimack County Savings Bank. Brad Kulacz has been promoted to Regional Vice President at Merrimack County Savings Bank (the Merrimack). In this role, he will oversee three out of four of the Merrimack’s Concord offices including its Main Office, Business Center, North State branch as well as the Bank’s Contoocook location. This is a new role that was created to ensure the organization continues to offer the best service and products available to banking customers as it grows. Kulacz began his banking career with the Merrimack in 2004 as Teller Manager and was promoted to Senior Customer Service Representative soon after. Following a brief career change into hospitality, Kulacz returned to the Merrimack in 2013 as Branch Manager of the Contoocook office. 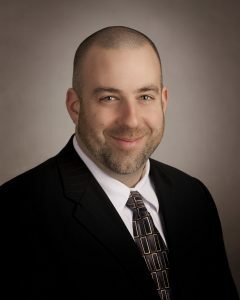 He was promoted again to Assistant Vice President, Branch and Business Development Manager in 2015, overseeing both the Merrimack Main Office as well as the Contoocook branch. Kulacz serves as Vice President of the board for the Hopkinton State Fair, and has dedicated his time to the organization for more than four years. He previously served on the board for Granite State Independent Living and has participated annually in its Wheelchair Basketball Tournament. He graduated from the New Hampshire Technical Institute and the Northern New England School of Banking. Kulacz is also a member of the 2019 class of Leadership Greater Concord.